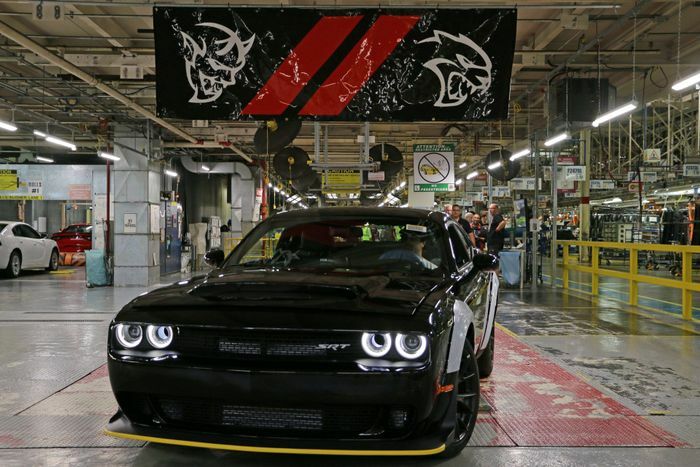 Let’s all just take a moment, here: the Dodge Demon is no longer a current car. 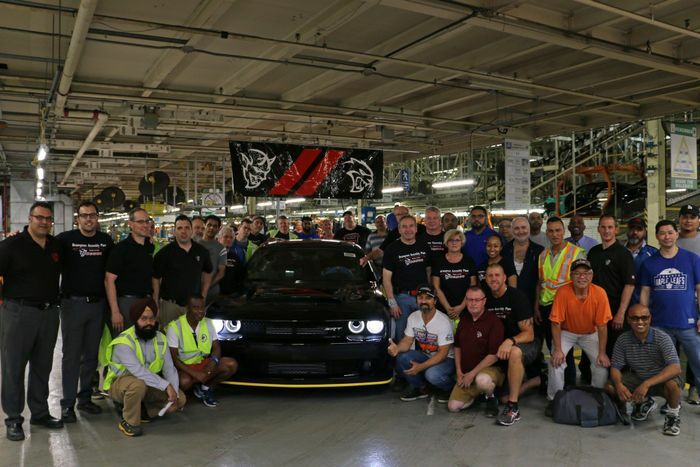 The last example of the 840bhp brute has rolled off the production line at Canada’s Brampton Assembly Plant after being in production for just over a year. The vehicle that teased us with a maddeningly long campaign of promo videos and hints, that ultimately redefined what a production car could do on the drag strip, and that sparked so much discussion, debate and testing, is a thing of the past. Only 3300 were made over the single year. We know at least one has been crashed, and most likely many more, but we don’t know whether any have been written off yet. Its official 0-60mph time of 2.3 seconds and peak quarter-mile performance of 9.65 seconds were enough to make it the talk of the car scene for month after month. Love him or hate him, Doug DeMuro featured one on his channel. John Hennessey did some performance testing on another, on the way to developing the insane HPE1000 supercharger upgrade kit. The final car wears gloss black over black wheels and a striking yellow detail strip around the lower front bumper (edit: which, as it turns out, is just a protective strip that stays in place until delivery…). It looks stunning. What’s more, if you’re a wealthy collector you can still take your chance to buy it and put it into storage as part of your retirement fund. Give it a few decades and it’ll be worth plenty. It’s heading to auction alongside the very last Dodge Viper – or at least the very last V10-powered one. The pair will be brought together, dubbed “the ultimate last chance package” and sold to the highest bidder by auctioneers Barrett-Jackson at their Northeast auction in Connecticut in June.